A new app called NewsON launched today that offers free local news coverage across 75 percent of the US, including video content from a total of 118 stations in 90 markets. The app is ad-supported and available for download on iOS and Android smartphones and tablets. Additionally, Roku streaming players, Roku TVs and the Roku streaming stick will also have access to NewsON. Users can watch live news, previous broadcasts (usually up to 48 hours) and clips. NewsON is backed by the ABC Owned Television Station Group, Cox Media Group, Hearst Television, Hubbard Broadcasting, Media General and Raycom Media. At launch, the app’s “broadcast quality” video content will come from these partners as well as Graham Media Group and Tegna. NewsON said that the app will welcome any new stations who also want to broadcast their content through the service. "NewsON expands the reach and relevance of local broadcast news, and delivers a uniquely valuable experience for viewers," says NewsON CEO Louis Gump. "NewsON offers the most comprehensive collection of local news video available today for mobile and connected TV viewers, and we expect the number of participating stations to grow between now and the end of the year." Users are able to search for relevant local news stories using the app's interactive map. The users' localities and possible destinations, even those of family members, will be considered relevant. Viewers can also search for news by category, with content from breaking news stories curated from multiple stations. 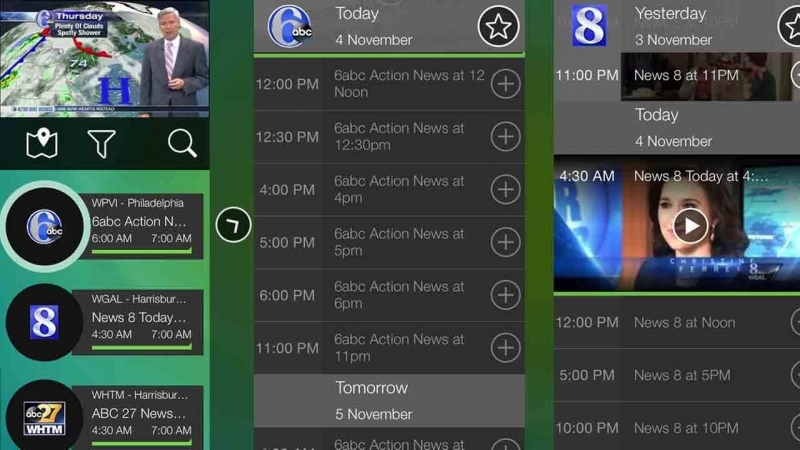 The app includes a timeline-viewing tool so users can skip segments of broadcasts that may not be of interest to them, and it also features a social media element. Tweets regarding the news will be displayed in the app and users can interact and contribute natively through NewsON. The app is live now on iTunes, Google Play and Roku Channel Store as a free download.